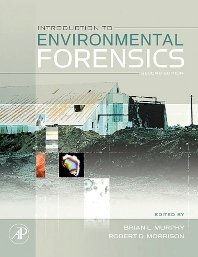 Introduction to Environmental Forensics helps readers unravel the complexities of environmental pollution cases. It outlines techniques for identifying the source of a contaminant release, when the release occurred, and the extent of human exposure. Written by leading experts in environmental investigations, the text provides detailed information on chemical "fingerprinting" techniques applicable to ground water, soils, sediments, and air, plus an in-depth look at petroleum hydrocarbons. It gives the environmental scientist, engineer, and legal specialist a complete toolbox for conducting forensic investigations. It demonstrates the range of scientific analyses that are available to answer questions of environmental liability and support a legal argument, and provides several examples and case studies to illustrate how these methods are applied. This is a textbook that would prove useful to a range of disciplines, including environmental scientists involved in water and air pollution, contaminated land and geographical information systems; and archaeologists, hydrochemists and geochemists interested in dating sources of pollution.